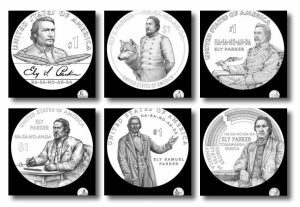 Last week on Oct. 16, the United States Mint unveiled candidate designs for the 2022 Native American $1 Coin. 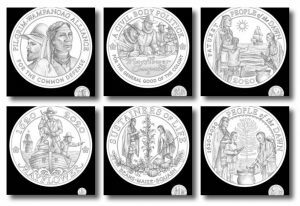 Last Tuesday, Oct. 16, the United States Mint unveiled candidate designs for the 2021 Native American $1 Coin. 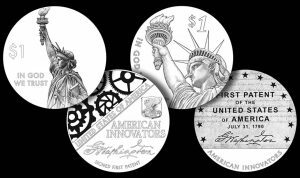 Today, Oct. 16, the United States Mint unveiled design concepts for 2021 to 2025 proof American Platinum Eagles. 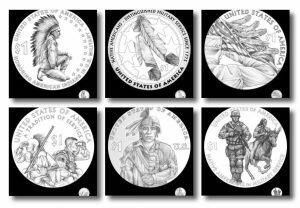 The Citizens Coinage Advisory Committee (CCAC) will meet Tuesday, Oct. 16, to talk about designs concepts for Native American $1 Coins and American Platinum Eagles and to review candidate designs for two military medals. 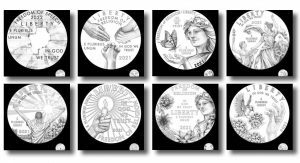 The United States Mint has unveiled information about and design candidates for the high-relief 2019 American Liberty Gold Coin and Silver Medal. 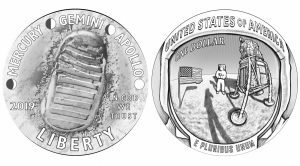 Another round of possible designs for the 2018 American Innovation $1 Coin was unveiled this month by the United States Mint. 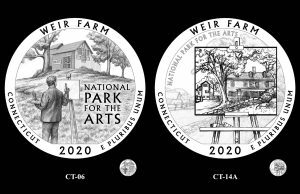 The dollar will introduce a 15-year series of coins honoring innovation in the United States.